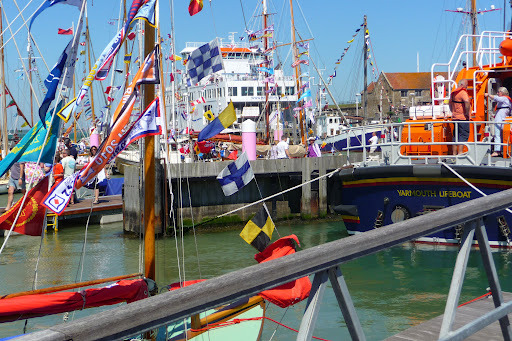 It’s a bit late now to tell you about the Old Gaffers’ Festival at Yarmouth which was a great success last week-end 25-27 May. 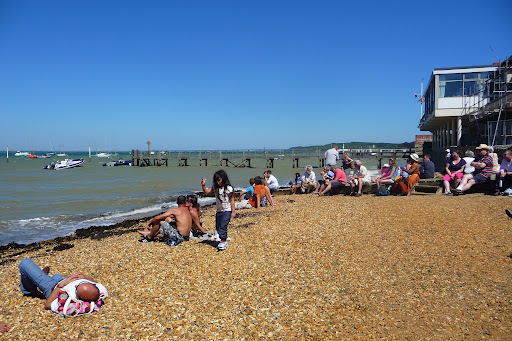 Coinciding with what we hope was the start of our British summer, it attracted people from all over the south of England plus the residents of the Isle of Wight who flocked to the little town in their thousands to welcome the Old Gaffers. 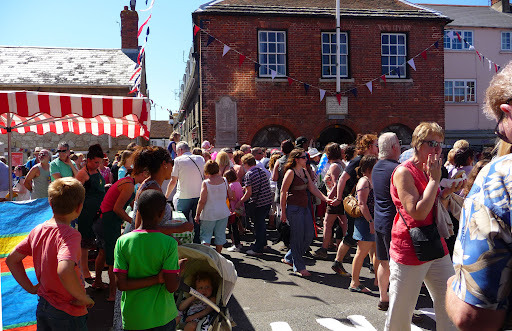 Crowds throng the streets over the weekend. For those of you who may be wondering what, or who, are the Old Gaffers, they are a type of sailing boat (I’ve given a link to the website where you can find the technical details) and the Yarmouth Festival attracts the boats and their owners for a weekend of sailing and merry-making. 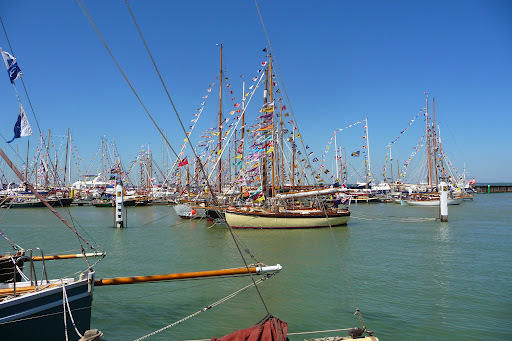 The gaff-rigged boats, dressed overall, is something one doesn’t see every day and the harbour filled with the colourful boats is a complete contrast to the usual fleet of everyday boats. The main race was on the Saturday, but people were arriving on the Friday for the Continental Fair (this could be Continental Fare as there was food from France, Spain, Italy and Germany on sale, both as takeaway and to eat there and then). Glorious weather on the Saturday and Sunday meant that the town was pretty busy but the exceptional stalls in the main square, the displays of food, bread, sausages, pastas and paellas were so enticing, that more than half the people spent time looking and tasting which left the beach and pier less crowded for those whose main interest was the sailing. Various horticultural merchants were offering bargains in unusual plants and shrubs, craftsmen and women were demonstrating their workmanship and the whole event was like an old fashioned Fair. It was almost a novelty not to have the usual market traders hawking their goods. On the Friday night Rob da Bank topped the bill with some great acts and the tribute bands had their turn on the Saturday night. 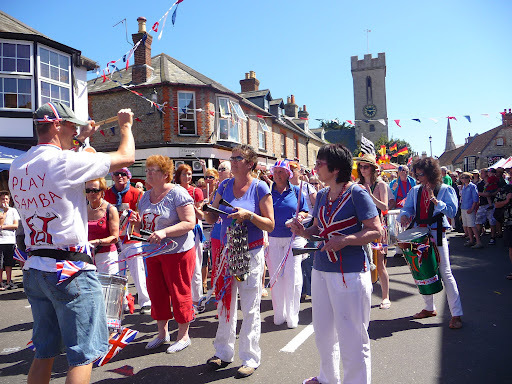 Bands played all day long, marching bands, bands in marquees, jazz bands, and even the Freshwater and Totland Samba Band paraded through the town. 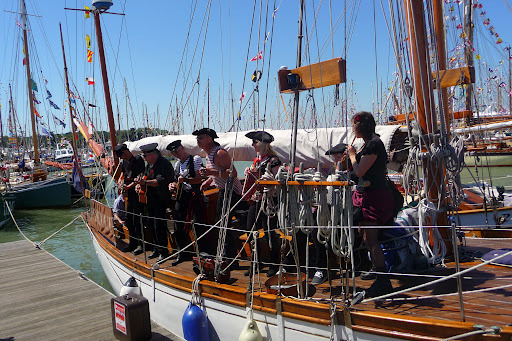 The Wight Hot Pipes (bagpipes, guitar and keyboard) were on hand, as were the Boogie Woogie Pianos with Team le Roc dancers, and The Crew sang shanties and sea songs in keeping with the Festival. There was even a male voice choir. 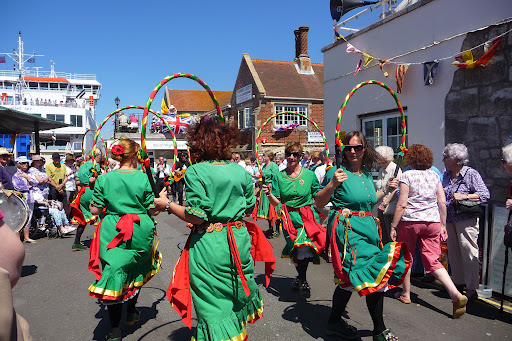 Among the street entertainers was a magician, the Men O’Wight Morris Dancers, Irish country dancing from th Ceri Dancers and on the sea the RNLI lifeboat demonstrated a search and rescue mission. The Beer Tent and the Real Ale tent, the Strawberries and Cream Teas, and the local ice-cream makers were all kept pretty busy. Those who could tear themselves away from the eating and the fun around the harbour could inspect the Veteran and Vintage vehicles that were on display. Once again, The Old Gaffers Festival has pleased thousands of people. Let’s hope the weather is equally kind for next year’s event. Thank you for your comment. It is always good to know that someone out there is reading and connecting. Hi mates, nice article and good arguments commented here, I am genuinely enjoying by these.